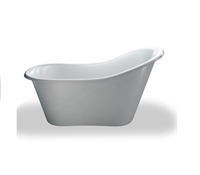 The Burlington Click-Clack Bath Waste Slotted with Chrome Cover has a traditional appearance, lovingly crafted and hand finished with exceptional care using the finest materials and manufacturing processes. The Burlington Bath P Trap in Chrome has a traditional appearance, lovingly crafted and hand finished with exceptional care using the finest materials and manufacturing processes. 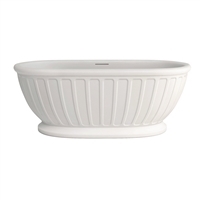 The Burlington Bath Click-Clack Waste and Overflow has a traditional appearance, lovingly crafted and hand finished with exceptional care using the finest materials and manufacturing processes. 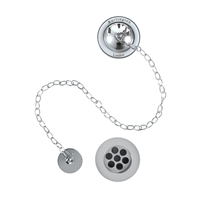 The Burlington Bath Overflow Plug and Chain in Chrome has a traditional appearance, lovingly crafted and hand finished with exceptional care using the finest materials and manufacturing processes. 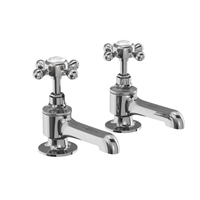 The Burlington Stafford Bath Taps Deck Mounted has a traditional appearance, lovingly crafted and hand finished with exceptional care using the finest materials and manufacturing processes. 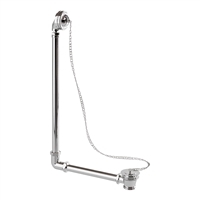 The Burlington Bath P Trap Connection Pipe in Chrome has a traditional appearance, lovingly crafted and hand finished with exceptional care using the finest materials and manufacturing processes. The Burlington Bath Filler With Pop-Up Waste and Overflow has a traditional appearance, lovingly crafted and hand finished with exceptional care using the finest materials and manufacturing processes. The Burlington Exposed Bath Overflow with Plug & Chain Waste in Chrome has a traditional appearance, lovingly crafted and hand finished with exceptional care using the finest materials and manufacturing processes. 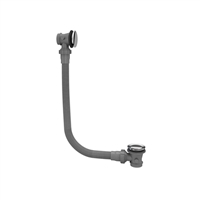 Burlington Deck Mounted Bath Taps have a traditional appearance, lovingly crafted and hand finished with exceptional care using the finest materials and manufacturing processes. The Burlington Exposed Bath Overflow with Click Clack Waste in Chrome has a traditional appearance, lovingly crafted and hand finished with exceptional care using the finest materials and manufacturing processes. 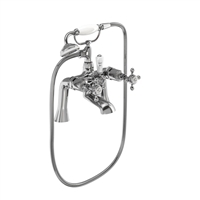 The Burlington Stafford Bath Shower Mixer Deck Mounted has a traditional appearance, lovingly crafted and hand finished with exceptional care using the finest materials and manufacturing processes. 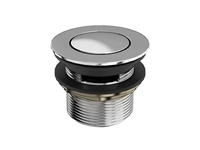 All Burlington Deck Mounted Bath Fillers have a traditional appearance, are lovingly crafted and hand finished with exceptional care using the finest materials and manufacturing processes. 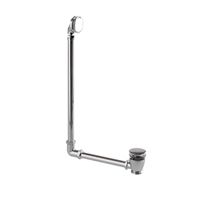 All Burlington Wall Mounted Bath Fillers have a traditional appearance, are lovingly crafted and hand finished with exceptional care using the finest materials and manufacturing processes. 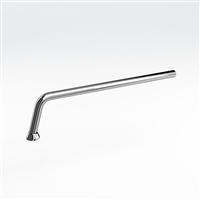 Burlington Wall Mounted Bath Taps have a traditional appearance, lovingly crafted and hand finished with exceptional care using the finest materials and manufacturing processes. Traditional style freestanding luxury soaking bath, ideal for two. This luxurious cast iron bath with its smooth curves and high quality stove baked enamel is a must for any discerning bathroom. Ideal for complementing a traditional or contemporary property. The Arcade Traditional Fire Hydrant Bath Waste has a traditional appearance, lovingly crafted and hand finished with exceptional care using the finest materials and manufacturing processes. Traditional style freestanding luxury soaking bath. Freestanding luxury bath, perfect for two, available in two sizes 1650mm and 1800mm. Traditional style rounded freestanding luxury bath, ideal for two. 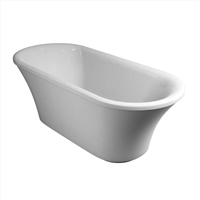 Traditional style rectangular freestanding luxury soaking bath, ideal for two. Freestanding luxury bath, perfect for two, available in Stainless Steel, White or Black.